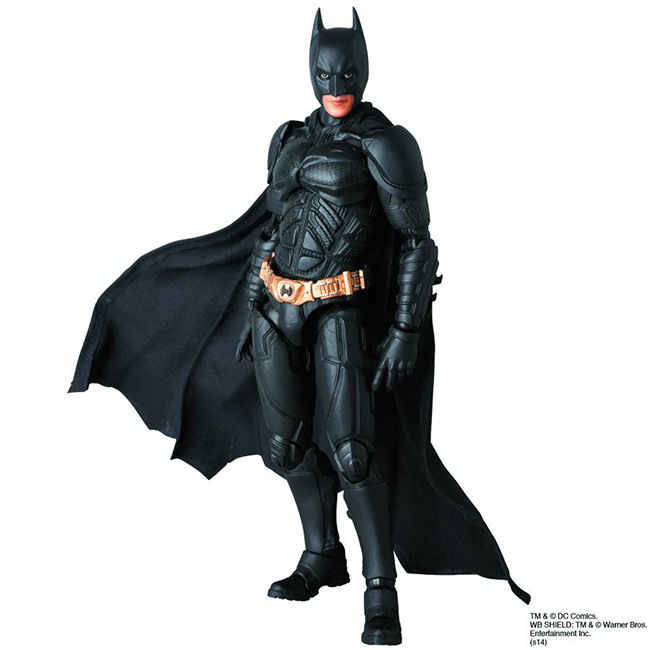 One of Batman's memorable vehicles from The Dark Knight Rises is the Batpod (Item Code: SEP142380, SRP: $99.99, pg 500). 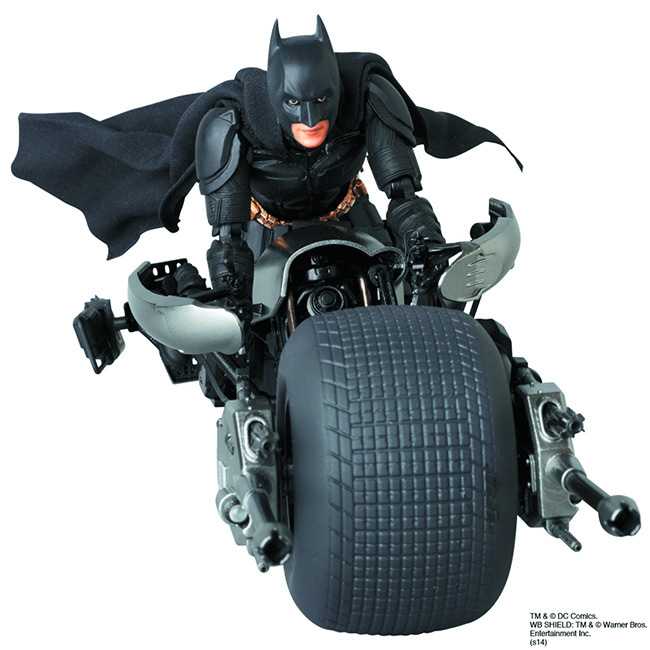 Recreated by MEDICOM, the two-wheeled vehicle was utilized by Batman and Catwoman in their desperate battle to save Gotham City from Bane. 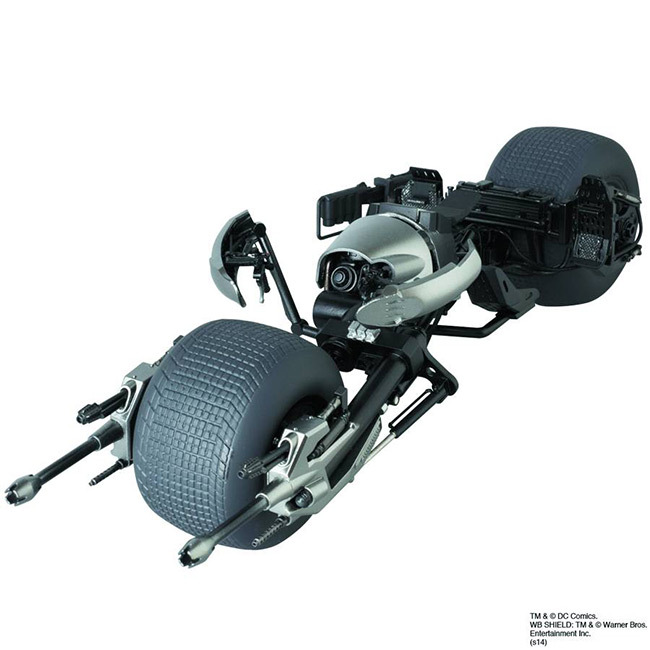 Scaled to match the Batman Miracle Action Figure (MAFEX), the Batpod can be displayed on its own or with the Batman figure riding it. 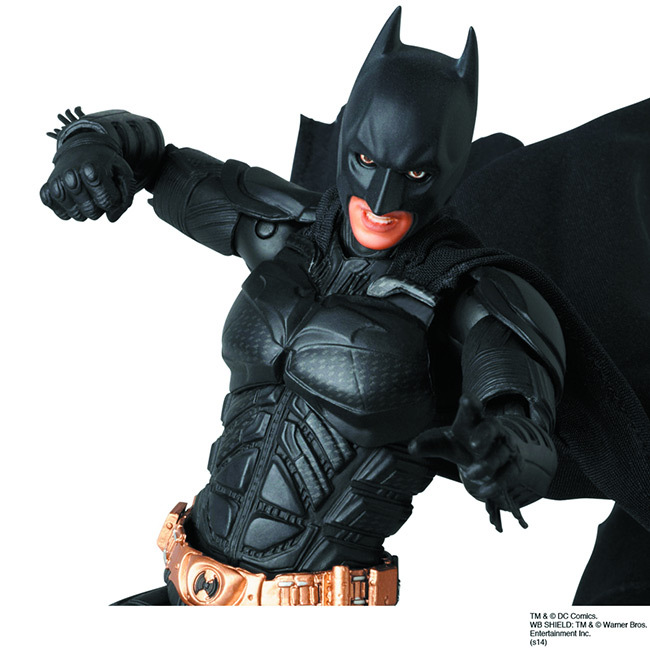 Pre-ordering these figures from comic book shops is strongly encouraged to ensure fans get them when released. Find a comic shop at www.comicshoplocator.com to pre-order today.